It has just clicked to me that it’s exam time for some and for many just around the corner. Whether you’re in primary level, high school or university/college. You know it’s almost end of October. Exam season is here. As a teacher I know the stress that comes with this season and it’s not good. While I’m also a student. I like to help where I can with exam stress and study tips. This might help you or add to what you’re already doing. Either way it’s worth a shot. I’m sure you always hear this phrase “study smart not hard”. For a long time I’ve been asking myself what it means. Finally I’ve come to terms with it. Often we tend to stress ourselves and study for hours on end without breaks hoping to get through whatever content we are studying. But is that the smart way of studying? It depends. As they say, different strokes for different folks. What works for your friend perfectly fine might not work for you. The moment you understand that, that’s when you get through the first step of how to study smart. We all have that friend who doesn’t have that math book, or anything for that matter. What’s even worse is they play around during class time. But come test they get ninetys. I make an example of math because this is one subject that needs constant practice. The point I’m trying to make here is, find what works for you and stick to it. 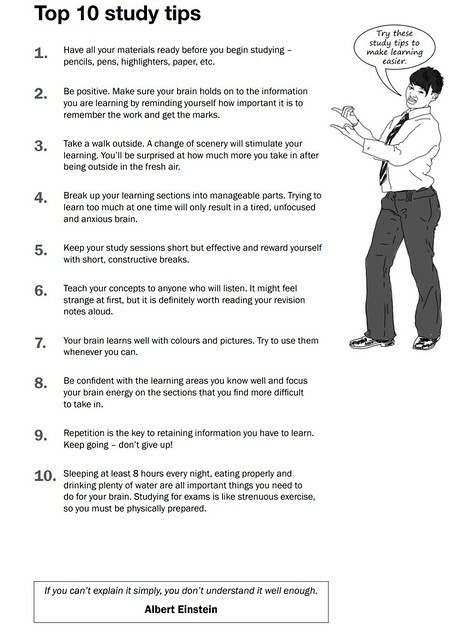 There are a number of strategies that you can use to study. From cue cards, summaries and also singing through your notes. Hey different strokes right? Sometimes mixing and matching also does the trick, it’s called triangulation. As long as it does you good. But one may ask, at this time of the year how do you know what works for you? Never be afraid to experiment. You don’t knock it till you try it. Study using one strategy. Give yourself a test, be it a past paper of some sort. Mark the script and check. With this strategy you need to be honest to yourself. In any case who’s fooling who? YOU! Should it work for you then it’s the right one. 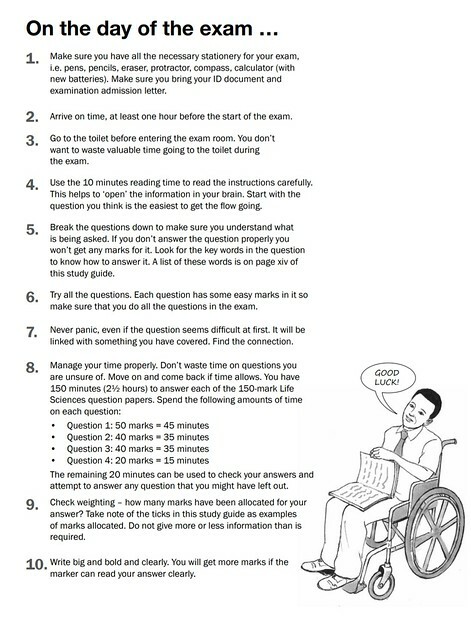 Here are a few exam tips adapted from the Department of Basic Education Mind the gap study guide.